Strength Endurance Training: How To Endure And Win! If you do strength endurance training you don't have to hope that you'll get an opening at the beginning of a game - when you're still fresh. Instead, you create your own opportunities and openings by having endurance for the whole game. Many sports, and even daily activities, require not just power and strength. They require you to have that strength well into your game, match, or grocery-carrying trip. There are tons of benefits to strength endurance training, both for sports and for daily life. Put simply, it helps a lot. Rowing, mountain climbing, decathlon, judo matches, and any other physical activity that goes on longer than 1 minute requires endurance.1 So does care-giving, if you are caring for someone who has to be lifted up, turned, or gently placed down. Heck, jogging and carrying groceries both take endurance! 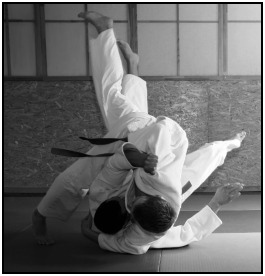 It's been infuriating for me to be in a martial arts match, to know the technique I want to use, and yet be unable to pull it off because I don't have the strength. And I know I really do have the strength, normally, but I'm just too tired. That feels horrible. If you can do the core movements for your sport or discipline at least 10 times, you have the strength you need for that movement.4 The next logical step, then, is to work on your endurance - so that you can pull off that movement in the heat of battle! Aerobic or Anaerobic Endurance Training? Aerobic endurance just means 'oxygen-using endurance.' This is what you rely on for something long term activity that forces you to breath heavily (e.g. jogging, biking, rollerblading, swimming or for longer than a few minutes). Anaerobic endurance means, as you probably guessed, 'not oxygen-using endurance.' This is for movements that are longer than a singular exertion of strength (a few seconds), but not so long as to be aerobic (e.g. helping to lift a table up stairs for a minute, carrying a heavy box up several flights of stairs, etc.). For aerobic endurance training, simply doing more of the activity is an excellent way of increasing endurance. It works. If you want to have more endurance in jogging or long distance running, run longer distances. And make it more difficult, perhaps by choosing hilly routes that force you to work hard. And make sure you work yourself to the point of muscle failure on each set.8 To the point where you can't possibly do another rep. I personally prefer counting (and increasing) the number of repetitions that I do. It's much easier for me to count that than try to keep track of time as I'm pushing myself to the limits of my endurance. "He who chases two hares loses both." And here's some science to convince you to focus on doing one kind of training at a time. The moral? Keep your weight training program, strength endurance training, and aerobic training (if you're doing all 3) separate. • Click here to leave 'Strength Endurance Training: How To Endure & Win!' & go back to the Complete Strength Training Home-page! Strength Endurance Training: How To Endure & Win! 1. Incledon, Lori. 2005. Strength training For Women. Champaign, IL: Human Kinetics. Pp. 48. 2. Brown, Lee E. 2007. Strength Training. Champaign, IL: Human Kinetics. Pp. 139. 4. Sharkey, Brian J., Steven E. Gaskill, and Brian J. Sharkey. 2007. Fitness & Health. Champaign, IL: Human Kinetics. Pp. 181. 6. Brown. Pp. 37.7. Sharkey. Pp. 180. 11. Baechle, Thomas R., and Roger W. Earle. 2008.Essentials of Strength Training And Conditioning. Champaign, Ill: Human Kinetics. Pp. 113-4.